230 BC - The Bastarnae, a mixture of Germanic tribes, at the Black Sea; they participated in the siege of Olbia (modern Odessa) in 220 BC, allegedly specialising in a hook-like polearm. 109 BC - Huge confederation composed of the Germanic of Cimbri and Teutones and the Celtic- Germanic Helvetii formed near Miltenberg in Franconia. The confederation attempts an invasion of Italy but is defeated by Gaius Marius in the battles of Aquae Sextiae (102 BC) and Vercellae (101 BC) 8-6 BC - Marcomanni from the northern Bavarian and Main river area went to the original homeland of the Boii in Boemia Bohemia and under king Marbod formed a Confederation of Marcomanni, Lugii, Semnones, Lombards, and others. Under king Ariovistus they fought against take-overs by Roman emperor Caesar Augustus. 5 AD - Pliny reported that Cimbri and Charydes sent ambassadors to Rome. 6 AD - Marcomannic Confederation. 98 - Tacitus reports on the Germanic tribes that the Suiones (Swedes) were one nation composed of several tribes (civitates). 167 ¿ Marcomannic Confederation, that also includes Quadi, Sarmatians, Suebi, Iazyges and others, crosses the Danube and invades Dacia. Roman emperor Marcus Aurelius eventually defeats them in 175. 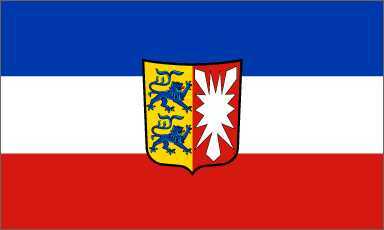 400 - Thuringian regna (loosely translated as kingdom or realm). Thuringii are reputed to have held the territory from the Danube to the Lower Elbe river. This regna was destroyed by the victory of Theuderic I of Austrasia, who in 530 defeated the Thuringian king Hermanafrid in the Battle at the Unstrut and killed him at Zülpich. This website provides summaries, in varying degrees of detail, of the military and diplomatic developments of the Thirty Years War. The Thirty Years War is one of the great conflicts of early modern European history. The Thirty Years War consisted of a series of declared and undeclared wars which raged through the years 1618-1648 throughout central Europe. During the Thirty Years War the opponents were, on the one hand, the House of Austria: the Habsburg Holy Roman Emperors Ferdinand II and Ferdinand III together with their Spanish cousin Philip IV. During the long course of the Thirty Years War the Habsburgs were opposed by various international opponents of House of Austria: the Danish, Dutch and, above all, France and Sweden. In addition to its international dimensions the Thirty Years War was a German civil war. The principalities which made up Germany took up arms for or against the Habsburgs or, most commonly, both at different times during the war¿s 30 years. The Thirty Years War was also, at least in part, a religious war among Catholics, Lutherans and Calvinists. Ferdinand II and, to a lesser degree, his primary ally Maximillian I represented the re- Catholicizing zeal of the Jesuit Counter- reformation, while Frederick V of the Palatinate represented the equally militant forces of Calvinism. The series of conflicts, military and political, which make up the Thirty Years War are highly complex. Between the account of Finnesburh given in Beowulf and the Finnesburh Fragment, we may construct a rough idea of the story of the battle. Hnaef, with sixty Jutes (Eotan in Old English, which may translate to ¿half-Danes¿), visits King Finn of Frisia. Finn's wife, Hildeburh, is Hnaef's sister (both Hnaef and Hildeburh are children of Hoc), seemingly given to Finn in marriage in order to settle an earlier feud. During Hnaef's visit, the Frisians attack the hall where the Jutes are resting. The Jutes take up positions at the doors to the hall - Sigeferth and Eaha (or Eawa?) at one, and Ordlaf and Guthlaf at the other, supported by Hengest. Garulf and Guthere are the two Frisian warriors named in the poem - one of them cautions the other not to be too rash in attacking and then calls out to ask who is guarding one of the doors, being answered by Sigeferth. Garulf and Guthere may be blood relations of some sort, and Garulf is additionally referred to as 'Guthlaf's son', though whether this Guthlaf is identical to the Jute Guthlaf is not made clear. The fragment breaks off before either Hnaef or his nephew, son of Finn and Hildeburh, are killed in the fighting. The Jutes hold off the attackers for five days without any casualties, but from Beowulf we know that before the battle is over both Hnaef and Finn's and Hildeburh's unnamed son lay dead. The battle having been fought to a stand-still, one of the sides, offers a treaty. Finn latter swears to give the Jutes equal place in his hall, equal honour and equal gifts, so long as the Jutes swear fealty to Finn. Thus the Jutes pledge service to Finn, the killer of Hnaef, rather than avenging the death of their lord. Hengest, who has become the leader of the Jutes since Hnaef's death, pledges the Jutes to Finn. The bodies of Hnaef and Finn's son are laid on a pyre under Hildeburh's direction, who sings a death-dirge for both her brother and her son. Hengest broods through the winter, thinking often of his homeland and whether he can avenge Hnaef's death. Finally Hengest takes up a sword (named Hunlafing? or is given a sword by Hunlaf's son, and leads an attack on Finn and the Frisians. Finn is killed, the Jutes ransack the palace for treasure, seize Hildeburh and bear her back home with them. a battle fought during the Seven Years' War. 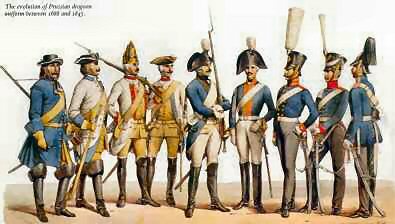 A Prussian army of 28,000 men fought a Russian army of 47,000 men. 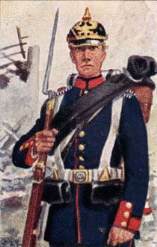 The Prussians lost 8,300 men, the Russians lost less than 5,000 men. Bela IV of Hungary and Ottokar II of Bohemia were at war. They marched against each other in 1260, only to find the March River between them. It was fordable, but neither possessed the skill to cross it in the face of the enemy. So Ottokar, in good chivalric fashion, offered Béla the chance to cross unmolested and to draw up in good order so they could get on with the war. Béla accepted and lost the Battle of Kressenbrunn (1260). ¿during the German civil war, the Pope decided for Rudolph of Swabia after his victory at Flarchheim"
¿Henry was forced by the Saxon rebellion to come to amicable terms with the Pope at any cost. Consequently in May 1074 he did penance at Nuremberg in the presence of the papal legates to atone for his continued friendship with the members of his council who had been banned by Pope Gregory, took an oath of obedience, and promised his support in the work of reforming the Church. This attitude, however, which at first won him the confidence of the Pope, was abandoned as soon as he defeated the Saxons by his victory at the battle of Hohenburg (June 9, 1075). He now tried to reassert his rights as the sovereign of northern Italy without delay. The Emperor Henry was defeated Oct. 15, 1080, on the banks of the Elster, by the Saxon Guelph forces of Otto, who was rivalling him for supremacy in Germany. 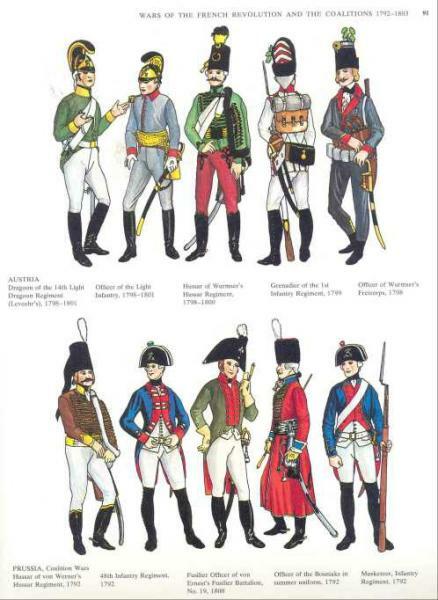 On 25th and 26th of September 1799, Massena, having forced the passage of the Limmat, attacked and defeated the Russians and their Austrian coalition allies. The coalition forces had greatly outnumbered the French, so Suvarov had sent more than half his force of around 60,000 men to cut off the French line of retreat. After sending a small force to harass Suvorov's armys progress from Italy through the St Gotthard Pass, Massena turned on the Russian coalition army under General Alexander Korsakov, which he defeated, capturing their cannons and other supplies and inflicting about 8,000 casualties. Most of the fighting took place on both banks of the river Limmat . 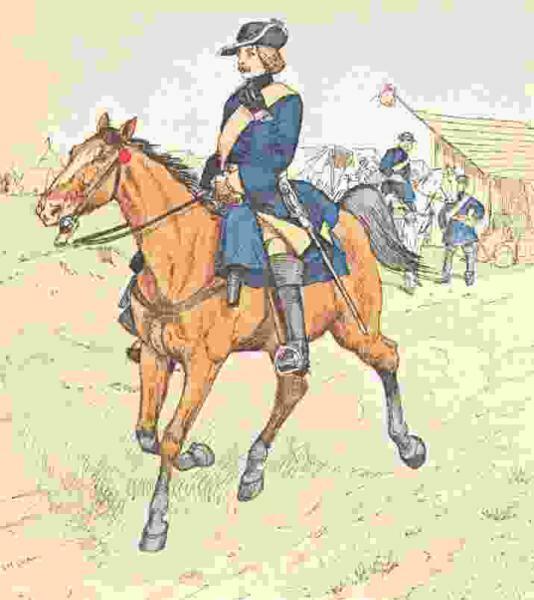 Oudinot commanded the French forces on the right bank and general Mortier those on the left. 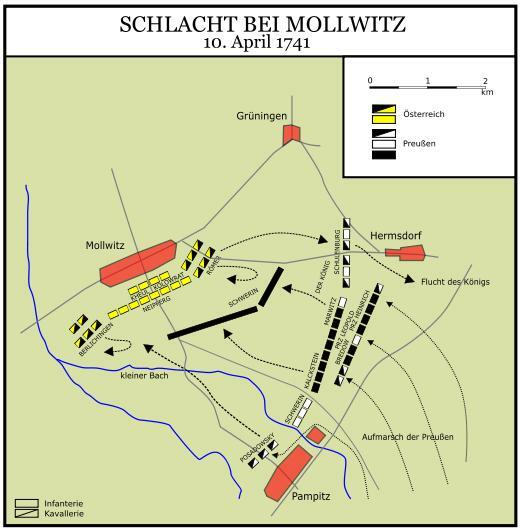 At the same time General Soult attacked and defeated the Austrians on the river Linth, (the main tributary of Lake Zurich) under Field Marshal Baron Hotze, who was killed early in the day. Massena then rounded on Suvarov with a brilliant offensive operation and drove his army away; killing, wounding and capturing almost 14,000 Russians. The result of this battle was the strengthening of Swiss independence, and the saving of France from an imminent invasion when Russia withdrew from the Second Coalition. 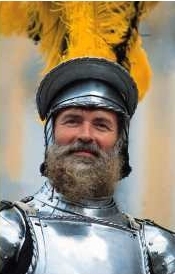 Conrad the Pacific, King of Burgundy from 937 ¿ 993, was descended from the line of Guelf, Count of Bavaria. In Conrad¿s reign, Burgundy like almost the whole of Europe was subject to raiding by Vikings, Saracens and Magyars alike. But Cope says that in 954 Conrad gained a victory over the Saracens and the Magyars in a coup that might be unique in military history. 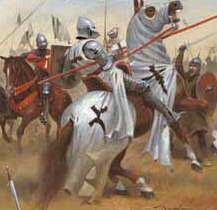 When he learned that both the Magyars and Saracens were on the warpath, he sent envoys to tell the Magyars that the Saracens lay in wait for them and if they would join forces with the Burgundians they would together destroy the Saracens." He told the Saracens about a Magyar ambush and offered an alliance with the Saracens against the Magyars. When Saracens met Magyars in battle, Conrad told both sides he would soon join them. "When he judged that the two hostile forces had sufficiently weakened each other, the Burgundians were launched against them and both were brilliantly destroyed." The Batavians .. or Batavii as the Romans called them, were a Germanic tribe who moved around 100 BC from present day Germany by following the River Rhine, to the area near to what now is Nijmegen and De Betuwe. Gaius (or Claudius) Julius Civilis was the leader of the Batavian Revolt which took place in 69 AD near Nijmegen. Beginning in the 1830s, liberal attempts to create a stronger federal Swiss state failed in the Swiss Diet. Frustration fed the growth of less-patient radicals and the fears of conservatives. 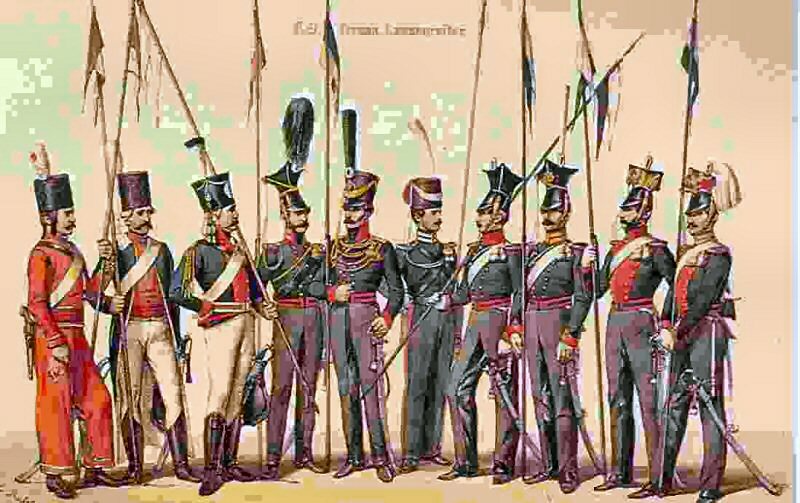 In 1845 seven Catholic-Conservative cantons formed the Sonderbund to defend themselves against the radicals, but their opponents argued that the alliance violated the Federal Treaty. In July 1847, when liberals had won enough cantonal elections to command a majority In the Diet, they voted to dissolve the Sonderbund and "to take any further measures" necessary. The war of the Sonderbund lasted only from 4 November to 29 November 1847. French-speaking Genevan Federal General Dufour was a political moderate who had served in Napoleon's army. Both Dufour's leadership and his strategy made the "very civil war" possible. He made it clear that looting and political retribution were forbidden, and the ban was largely successful. 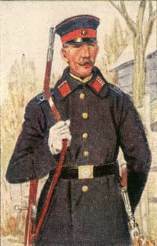 Because the Sonderbund forces did not act together, Dufour could march in overwhelming force against the separate cantons. He surrounded Fribourg and accepted its surrender after one minor skirmish. Only two battles occurred during the campaign to surround Lucerne, which surrendered unconditionally on 24 November. 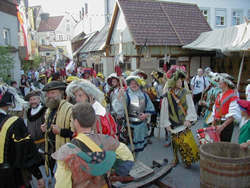 The other cantons surrendered without a fight following the decisive battle of Gislikon. Total casualties for the war amounted to 93 killed and 510 wounded. Dufour had come close to his goal of avoiding "everything that might give this war the character of an act of force". The Federal victory encouraged liberals throughout Europe, and was a contributory factor to the revolutions of 1848. 1703 Speyer French victory Central Europe 1705 Elixhem Marlborough won the passage Central Europe 1707 Stolhofen Lines II French won Central Europe 1708 Hondschoote Central Europe 1709 Rummersheim French won Central Europe 1703 Steckene Dutch victory Central Europe 1703 Eckenren French victory Central Europe Lucerne Sempach Central Europe Bavaria 1703 Sieghardin Bavarian victory Central Europe Bavaria 1703 Hochstadt Bavarian victory Central Europe Belgium 1708 Wynendael Allies won Central Europe Belgium 1711 Lines of Non Plus Ultra Marlborough¿s famous passage Central Europe Belgium 1712 Denain French won Central Europe Belgium Bruges 1382 Roosebeke Central Europe Bohemia Prague 1434 Lipan Central Europe Eastphalia Detmold 0782 Suntel Central Europe Germany 1702 Friedlingen French victory Central Europe Germany 1703 Stolhofen Lines I Austrian victory Central Europe Germany 1704 Schellenburg Marlborough won Central Europe Holland 1702 Nijmegen French victory Central Europe Rhineland Cologne 0506 Tolbiac Alamans defeated by Merovingians Central Europe Rhineland Palatinate Worms 0436 Worms Huns defeat Burgundians Central Europe Saxony, Upper Dresden 0933 Riade Central Europe Switzerland Berne 1476 Murten Central Europe Switzerland Berne 1476 Grandson Central Europe Switzerland Berne 1475 Morat Central Europe Switzerland Glarus Nafles Central Europe Switzerland Rhaetia 0260 Romans defeat invading Juthungi tribe Central Europe Switzerland Zug Morgarten Central Europe Thuringia 0531 Scheidungen Carolingians and Saxon allies defeat the locals. The battlefield, where the young Arminius ambushed and defeated the two Roman legions of Varus in 6 or 7 AD, has now been definitively located by archaelogy. It appears Arminius was able carefully to prepare the ambush site, on a narrow strip of land between forest and bog, with the addition of a timber wall, possibly camouflaged, behind which the German tribesmen lay in wait. He was then able to lure the unsuspecting legionnaries to their destruction. This battle terminated the expansion of the Roman Empire, which had already established towns east of the Rhine, further to the east, and thus established the foundations for the later German nation. See ¿Schlüter, W. "The Battle of the Teutoburg Forest: Archaeological Research at Kalkreise near Osnabrück," in J.D. Creighton and R.J.A. Wilson (eds), Roman Germany: Studies in Cultural Interaction (Portsmouth, RI, 1999), 125-59.
a fantastic and major source here. 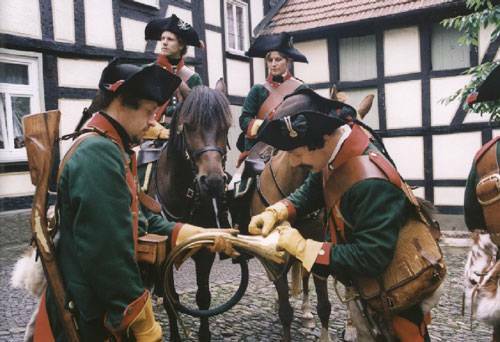 Welcome to our page devoted to the Thirty Years War. Our interest has arisen out of our years of wargaming in the Danish Wargaming Society (Dansk Figurspilsforening) and the Danish Military Society (Chakoten). This war is little known in European history but none the less bloody for that: the battles in the Low Country, such as Laffeld, involved on at least two occasions armies of more than 100,000 men on both sides The war spread itself across the Low Countries, Italy, Bavaria, Bohemia, Silesia and Moravia and involved many of the powers of Europe with the notable exception of the Turks and the Russians. Some calamitous naval battles were fought as well, such as Toulon, Cape Ortegal, and Ouessant off Brest, ending in the virtual destruction of the French navy. 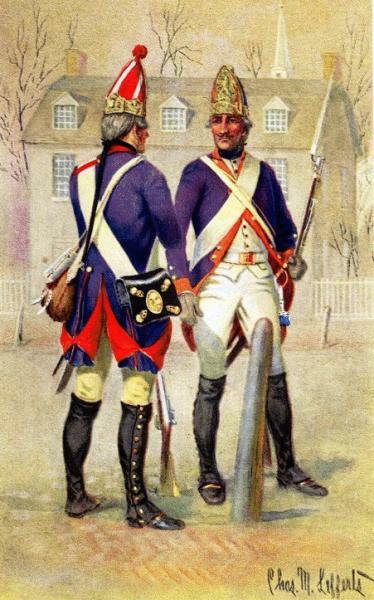 This enabled British acquisitions at the expense of the French, both in India and, notably, the conquest of Louisburg in Nova Scotia, guarding the river route into Canada down the St. Lawrence. This was the first European war that involved the British since the time of Henry VIII. It was largely the result of Louis XIV's foreign policy, which can loosely be described as 'La Gloire'. 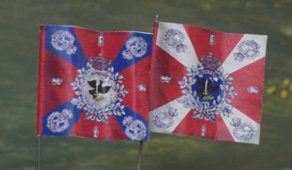 It is sometimes known as any one of the following:  War of the League of Ausburg (the League didn't include Britain)  War of the Grand Alliance (which blames everybody but the French)  King William's War (American, blaming William rather than Louis)  War of the English Succession (ho hum, blaming William again) The fairest name has to be the chronological one i.e. The Nine Years War (1688 - 1697). The combatants consisted on the one hand of a broad coalition of catholic and Protestant states (including Britain, Holland, Denmark, Austria, and the many German States) and on the other, France. The fighting took place largely in Flanders in the area between the rivers Meuse and Sambre. It included such well known names as Charleroi, Namur, Mons and Cambrai. the War itself was one primarily of manoeuvre and siege with few pitched battles, which may explain why it has never been that popular among wargames; the exceptions of course being Steenkirk and Landen. William III's strategy was to wear down Louis vast armies, in which he largely succeeded, whereas Louis' was to expand Frances borders and influence in which he was only partially successful. The early victories went to the Allies, until the Duc de Luxembourg became Commander in Chief of the French Army. From there it was all downhill for the Allies except the recapture Namur in 1695 (having been lost in 1692) until William agreed a treaty with Louis at Rijswijk. A good guide to the war in Flanders is John Child's 'The Nine Years War and the British Army 1688-97'. It doesn't contain a bibliography as such but references to other works on the War and related subjects can be found in the notes at the end of each chapter. Web Site: The Nine Years War (1688 - 1697). Fontenoy is a legendary battle that figures in the story of the "Wild Geese" or "Exiles of Hope" -- approximately 12000 Irish warriors under General Patrick Sarsfield who despaired of their own, and Ireland's future in the aftermath of the Elizabethan conquest of Ulster. From the late 16th century onward, Irish soldiers found that they could sell their services profitably to the Catholic monarchs of Europe, particularly Spain with its far-flung empire. 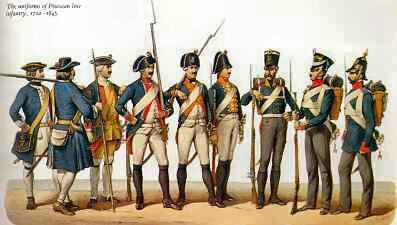 By 1691, there were 30000 Irish soldiers in the French army of King Louis, 10000 in Spain's army, and another 10000 in the Austrian army. At that time, Austria and Spain were fighting France. 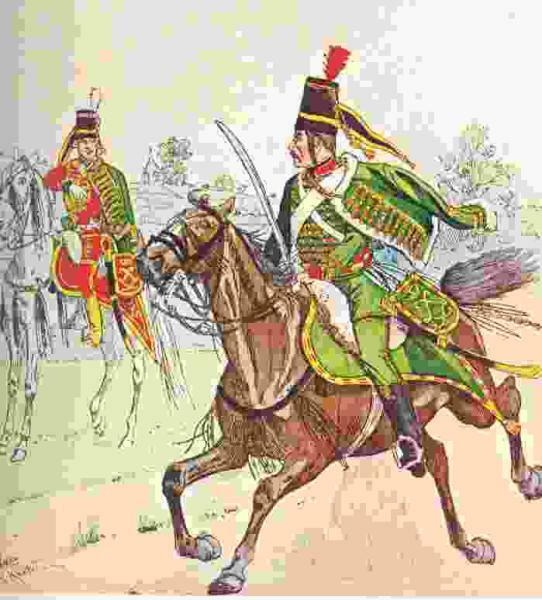 Sarsfield and his army were "hired" by the French. Forty years later, when the battle of Fontenoy took place, the War of Austrian Succession was still going. A Celtic Cross was erected during 1907 as a monument on the battlefield of Fontenoy (War of Austrian Succession) in Belgium to mark the spot where, in 1745, an Irish brigade of about 4,000 men suffered heavy casualties in a charge that swept that battlefield. King Louis XIV was beseiging Tournay in Flanders and his army numbered 75000. The Duke of Cumberland (son of George II) headed to lift the seige with his army of 55000. The French general left 18000 men in front of Tournay and took 45000 to meet Cumberland near the village of Fontenoy. The French established a defensive line atop a hill near Fontenoy. Cumberland assaulted this line all day without success and then sent a column of 6000 Englishmen to pierce it -- once in back of the enemy line they were to deploy and attack. The English column punched through the French line and, just when King Louis was ready to hightail it out of there, Marshal Saxe told him there was no need to run. He called up Lord Clare and the Irish Brigade, telling them to "Clear the way." They did. "And famed Fontenoy would have been a Waterloo, Were not these exiles ready then, fresh, vehement, and true . . . Like lions leaping at a fold, when mad with hunger's pang, Right up against the English line the Irish exiles sprang: Bright was their steel, 'tis bloody now; their guns are filled with gore; Through shattered ranks, and severed files, and trampled flags they tore. The English strove with desperate strength; paused, rallied, staggered, fled -- The green hillside is matted close with dying and with dead. Across the plain, and far away passed on that hideous wrack, While cavalier and fantassin dash in upon their track. 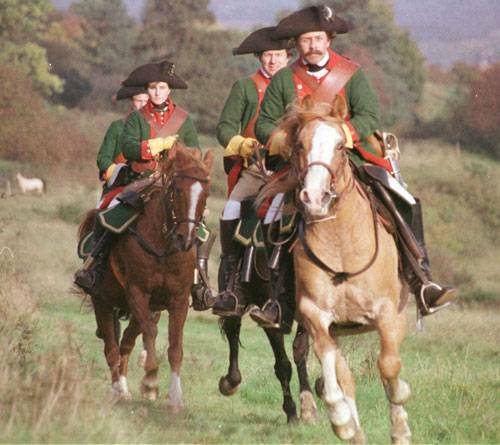 On Fontenoy, on Fontenoy, like eagles in the sun, With bloody plumes the Irish stand -- the field is fought and won!" Hence, the Irish battle cry "Remember Ireland and Fontenoy!" The Holy Roman Emperor in Vienna, with his Saxon and Catholic allies, was contesting Northern Germany with the Protestant princes, championed by the Swedes. Like boxers the two armies circled around each other for eleven days; the Swedish army like an agressive, murderous lightweighter which over and over again tries to get the advantage, while the heavy weighted opponent over and over again is forced to smaller retreats. But on Saturday, the 24th of September Baner's army intercepted their opponents in the hilly landscape filled with forests slightly south of Wittstock. The Imperials decided to wait for the Swedes on a range of sandy hills, Scharfenberg; with a part of the front with six ditches swiftly dug to ensure victory and a wall of linked wagons. Their commanders waited long for the Swedish troops to appear on the open fields before their front, so that they could be destroyed by the artillery just as in the battle of Nördlingen. 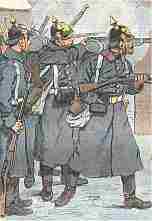 But instead the message arrived that the Swedish army against all expectations was attacking the left flank. The Imperials were forced to regroup their frontlines and set up a new front. The battle had begun. by Johann Cristoph Friedrich von Schiller (Trans. Rev. A. J. W. Morrison, M.A. ...the complete online text of this classic, with a very useful search facility which will find accounts of individual battles, etc. There is, unfortunately, no study describing and analysing the Hungarian art of war in its entirety. Even the Hungarian military historians have up to now failed to produce an extensive reference work and have restricted their field of interest to certain limited topics. The many wars in the history of Hungary, especially the Second World War, destroyed a great number of primary sources. The majority of the old sources still available are not written solely in Hungarian, but require knowledge of Latin, German, French, occasionally Italian, and Russian or other Slavic languages. This present work analyses only certain events and developments arbitrarily selected by the author to illustrate different aspects of the Hungarian art of war. But it throws light on obscure military geniuses such as King Matthias, who extended the Hungarian borders enormously during the Middle Ages. The major aim of this site is to document the organisational history of the land forces of the Austro-Hungarian monarchy from just prior to the outbreak of the Great War until the collapse of the monarchy in 1918, though there are significant additional materials. There are good graphics here. ¿during the Thirty Years War. In Germany. Three Protestant armies were struggling to meet, which would give them the strength to oppose the Imperial forces. 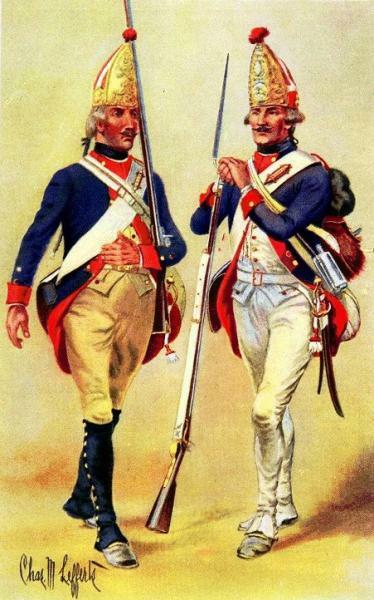 Mansfeld and George Frederick, Margrave of Baden, decided to cross the Neckar at different points, in an attempt to split the Catholic armies of Tilly and Cordoba. The plan failed, and the margrave of Baden found himself faced by Tilly, Cordoba and most of their army at the village of Wimpfen. Despite being outnumbered, Baden was not outclassed. 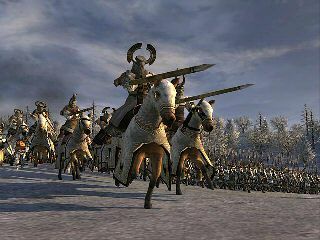 His army was loyal and enthusiastic, while the Imperial forces were under a split command and were very badly supplied. Baden placed his cannons on a low hill that dominated the flat area, and started the battle with a heavy cannonade supported by a cavalry attack that for a moment looked to be close to destroying the Spanish line. The face of the battle was changed by a lucky shot that detonated Baden's arsenal. The Imperial armies saw what looked like a white-robed woman appear above the Protestant cannons, after which the cannonade stopped, and seizing on it as a miracle renewed their attack. TIlly and Cordoba launched a joint attack on the hill, and after a stiff fight the Badeners were forced to flee, abandoning their guns. George Frederick was removed from the war, although two thirds of his army soon reformed, and Cordoba had suffered just as many loses, while Mansfeld was able to cross the Necker unopposed. numerous v nice and atmospheric photos here, of castles old and newer. Look under "architecture".